Darine Hamze (Arabic : دارين حمزة‎); is a Lebanese actress, director and producer. She is one of the well known professional actresses in the Arab world credited for taking on diverse, daring and complex roles in different languages and countries. She's the most famous serious cinema actress in her generation. Graduated from London’s top universities in Acting and majored an MA in Cinema. She has been working in film, television and theatre since 2001 in The Middle East and Europe. Darine won the Best Actress Award in Oran International Film Festival 2017 for her role in film Nuts. Darine speaks Arabic, French, English and Persian. The Arab world, also known as the Arab nation, the Arabsphere or the Arab states, currently consists of the 22 Arab countries of the Arab League. These Arab states occupy North Africa and West Asia; an area stretching from the Atlantic Ocean in the west to the Arabian Sea in the east, and from the Mediterranean Sea in the north to the Horn of Africa and the Indian Ocean in the southeast. The contemporary Arab world has a combined population of around 422 million inhabitants, over half of whom are under 25 years of age. Darine Hamze was born on the 5th of July in the colorful 80s, as a second child to a Muslim family. He father was a flight engineer father and a painter mother, in Baalbeck, and raised in Souk El Gharb, Aley District, Lebanon. 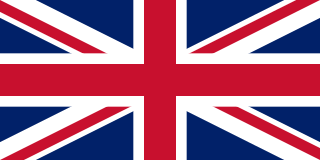 She was sent to the United Kingdom (England), between the age of 8 and 13, to a British boarding school (ISC) in Bath, along with her two brothers. Souk El Gharb, also spelled Suk, Sug al, ul, Suq), is a town located in the Aley District, Mount Lebanon Governorate, in Lebanon and its name translates to "Western Market". Aley is a district (qadaa) in Mount Lebanon, Lebanon, to the south-east of the Lebanon's capital Beirut. The capital is Aley. Aley city was previously known as the "bride of the summers" during the 1960 and 1970s, when Aley and neighboring Bhamdoune were attractive tourist locations for Gulf tourists and Lebanese emigres. The Lebanese University is the only public institution for higher learning in Lebanon. In 1951, notable professors and educated personalities founded, under the support of the Lebanese President Bechara El Khoury, The High House of Teachers, a class of 68 students making the first class, ever, of the Lebanese University. Her next unique role was in 2011’s French/Lebanese controversial film Beirut Hotel opposite French actor Charles Berling, directed by Danielle Arbid, which made a huge controversy because of its political sub-text and explicit scenes. Darine took on the challenge this time to portray (Zoha) a wild romantic alternative singer that falls in love with a French spy. Darine practiced her French and even took singing classes which made the film’s soundtrack, with her voice, a hit. But the film was banned in Lebanon due to suggestive scenes depicting the Lebanese government as covering up some kind of information regarding the assassination of former Prime Minister Rafic Hariri. However, the film aired in France and Germany on Arte, and Darine was bombarded by opposing opinions for playing such a daring role. She was praised by the liberal audiences and out-shun by conformists in a number of Arab societies, for playing the French audacious role. Nouhad Wadie' Haddad, known as Fairuz, also spelled Fairouz, Feyrouz or Fayrouz, is a Lebanese singer who is one of the most admired and influential singers in the Arab world. Samir Kassir was a Lebanese-French professor of history at Saint-Joseph University and journalist. Sabah was a Lebanese singer and actress. Considered a "Diva of Music" in the Arab world,, she released over 50 albums and acted in 98 movies as well as over 20 Lebanese stage plays. She had a reported more than 3,500 songs in her repertoire. She was among the first Arabic singers to perform at the Olympia in Paris, Carnegie Hall in New York City, the Royal Albert Hall in London and the Sydney Opera House. She was considered one of the four Lebanese icons along with Fairuz, Wadih El Safi and Nasri Shamseddine and was nicknamed "Empress of the Lebanese Song". Hiam Abbass, also Hiyam Abbas, is an Israeli Arab actress and film director. Nadine Labaki is a Lebanese actress and director. 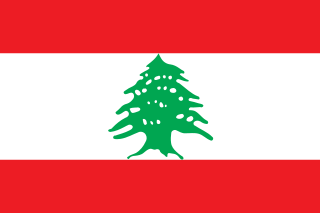 The Lebanese Broadcasting Corporation International, widely known as LBCI, is a private television station in Lebanon. LBCI was founded in 1992 by acquiring the assets, liabilities and logo of LBC, an entity founded in 1985 during the Lebanese Civil War by the Lebanese Forces. LBCI went global in 1996 when it launched its satellite channel LBC Al-Fadha'iya Al-Lubnaniya covering Lebanon, the Arab world, Europe, America, Australia and Africa. Arab cinema or Arabic cinema, refers to the cinema of the Arab world. The cinema of Lebanon, according to film critic and historian Roy Armes, is the only other cinema in the Arabic-speaking region, beside Egypt's, that could amount to a national cinema. Cinema in Lebanon has been in existence since the 1920s, and the country has produced more than 500 films. Television in Lebanon arose as a private initiative and not a state-institution. Lebanon was the first country in the Arab world to have indigenous television broadcasting. Various Arab televisions emulated the Lebanese model. Pierre Youssef El Daher is a Lebanese businessman. He is the chairman and CEO of the Lebanese Broadcasting Corporation International. Carmen Labaki is a Lebanese / Brazilian movie director and producer. Carmen Labaki was born in Beirut. She is the winner of the Best Documentary Film Award 2005 at the Arpa International Film Festival in Hollywood, run by Arpa Foundation for Film, Music and Art for Labaki directing and producing Armenians of Lebanon about the Armenian community in Lebanon. Beirut Hotel the third long feature film by Lebanese director Danielle Arbid, is a 2011 Lebanese film. The film premiered during the 2011 Locarno International Film Festival. Theatre in Lebanon has its origin in passion plays. The musical plays of Maroun Naccache from the mid-1800s are considered the birth of modern Arab theatre. Some scholars like Abdulatif Shararah divided theatre in Lebanon into three phases: translations of European plays, Arab nationalism, and realism. Mona Abou Hamze is a Lebanese TV personality and presenter, born in Barouk into a Lebanese Druze family. She is best known for her role in hosting the Lebanese show Talk of the Town on MTV, a position she has held since April 2009. On Talk of the Town, Abou Hamze frequently hosts well-known figures, with over 2000 guests to date, from different backgrounds and cultures. The guest list includes celebrities such as politicians, singers, actors, painters, athletes and the like, tapping into the latest social and humanitarian issues. The Book of Law is a 2009 Iranian film directed by Maziar Miri, written by Mohammad Rahmanian, and produced by Mohsen AliAkbari. The film is about a Lebanese woman and convert to Islam struggling with the contrast between the behaviour of Iranian Muslims and the principles of Islamic religion. The film stars Parviz Parastui and Darine Hamze. Eliane Raheb (Arabic: إليان الراهب; is a documentary filmmaker from Lebanon. Nadine Nassib Njeim is a Lebanese-Tunisian actress and beauty pageant titleholder who was elected Miss Lebanon 2004. She represented her country in Miss Universe 2005 in Thailand. Farah ALHashim is an award-winning Kuwaiti-Lebanese filmmaker and journalist based in Paris. ALHashim has been making films since 2011 including 7 Hours, which won several awards at film festivals in 2013 and Breakfast in Beirut in 2015, which was honored at multiple festivals. Zahraa Ghandour is an Iraqi-Lebanese actress and TV presenter. Karen Boustany, known professionally as Karen R. Boustany, is a Lebanese international media personality, author, Businesswoman, Director & Producer. ↑ "إنت مين مع دارين حمزة". OTV Lebanon (in Arabic). 11 July 2015. ↑ Iranian Antisemitic Film "Saturday Hunter" Depicts Jews Massacring Arabs, Seeking God-Like Powers, MEMRI, Clip No. 3560 (transcript), 17 August 2012. ↑ Iranian film depicts Jews as money-hungry Arab-killers by Greg Tepper, Times of Israel, 5 September 2012. ↑ "Saturday's hunter" in 17th international children's festival, Art News Agency, 9 October 2010.